Parts of Ambleside were designated a Conservation Area in 1980 and the boundaries were revised in August 2010. You can view a map of the new boundary here. There was extensive discussion before the new boundaries were agreed and the Planning Authority produced a discussion document in June 2010, which contains a great deal of interesting material about Ambleside. You can download a copy here (3.7Mb PDF). In 2017 the committee developed a set of principles that it will use when addressing development issues, including within the Conservation Area, as follows. Ambleside’s special status as a historic market town at the heart of the Lake District National Park deserves particular recognition as having an outstanding international value in keeping with its unique setting, character and heritage. 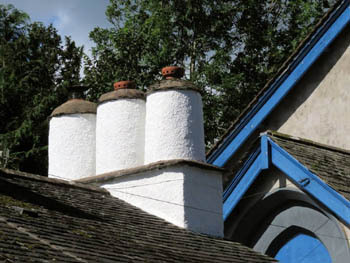 Ambleside Civic Trust considers that, where development or change is proposed in Ambleside and its surrounding area, the town and its community deserve the highest quality, environmentally sensitive, sustainable improvements of a scale and character appropriate to Ambleside and the Lake District National Park.